“I joined this practice because I love the philosophy and the people I work with. I am proud to work for a practice which provides high-quality, patient-centered care using the latest advancements in technology. Every aspect of this office has been carefully picked to achieve that goal, whether it be the state of the art technology, latest dental products, or various comforts available to patients. In addition, the warm and dedicated staff make patients feel right at home. Dr. Shawdi Assar attended the University of Maryland, where she received a Bachelor of Science in Physiology & Neurobiology in 2002. She then graduated from the University of Maryland School of Dentistry, where she received a Doctorate in Dental Surgery in 2006. She scored in the top percentile on her Board Examinations. During her more than 10 years of practice, Dr. Assar has worked in Maryland, North Carolina, and Virginia. She is a General Dentist with a strong interest and experience in Cosmetic dentistry and Invisalign. 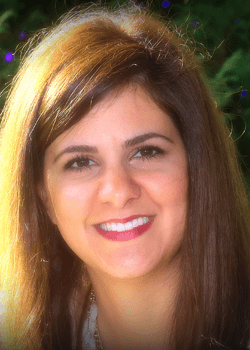 Dr. Assar is very involved in the dental community and remains up-to-date on the latest dental trends and technologies through her participation in various national conferences and professional organizations. Through her understanding of biomaterials and artistic nature, Dr. Assar provides top quality aesthetic results to her patients. During her free time, Dr. Assar enjoys painting, drawing, and poetry. She lives nearby in the lovely Vienna community with her husband and two children where you can regularly find her cheering them at their sporting events.